PERPIGNAN, France — Here, in the courtyard of an ancient convent, the Wall of the Disappeared lists the names of some 2,700 “pieds noirs” — black feet, as the white French former colonists in Algeria were called. Pieds noirs (the term’s origins are obscure, but perhaps had something to do with black boots) mostly emigrated originally from Spain, Italy, Germany, Malta and other European countries, often as laborers and farmers. They became French citizens during the 130-odd years Algeria was under France’s thumb. Then during the chaotic weeks and months after France, under Charles de Gaulle, ended its colonial war with Algerian nationalists in March 1962, more than a million pieds noirs fled to cities like this one. Others who stayed were massacred in places like Oran. Still others disappeared. Jean Scotto, a retired teacher and pied noir (he prefers the phrase “French Algerian”), was 23 then. The other day, under a bright blue sky, he unlocked the chain-link gates to the convent’s courtyard. From the surrounding neighborhood, where brightly colored laundry fluttered on clotheslines across old apartment-tower balconies, Arab music burbled over the walls. Mr. Scotto is vice president of the local chapter of the Algerian Circle, an organization helping to oversee the Center for the French Presence in Algeria, a museum dedicated to celebrating daily life among the pieds noirs. It’s scheduled to open sometime late this year or early in 2010 in the former convent. From Marseille to Montpellier, museums about colonialism and the pieds noirs, encouraged by nostalgic and militant pieds noirs like Mr. Scotto, have been proposed or are soon to open, to the consternation of many French who feel that the pied noir story, told by some of its more right-wing partisans, is incendiary and not one anyone needs to hear now. The museum in Marseille not long ago prompted some Algerians to make noises about curtailing economic relations with France should it proceed as planned. Even 46 years later, for the French the Algerian legacy is roughly akin to what the Civil War is for Spaniards. Everything to do with France’s colonial reign remains a flashpoint and open wound, above all the long and brutal war that ended it, but not least the legacy of the pieds noirs as occupiers or victims, depending on one’s perspective. Though often reluctantly, France is now confronting a history that it has frequently seemed as anxious to forget as, for many years, it was to forget the Vichy era. French courts convicted the general, though not for his actions — those were covered by an amnesty — but rather for “trying to justify war,” a curious French legalism. In late January the European Court overturned the conviction, partly on free-speech grounds. But why all this now? The answer speaks to the passing of generations and a climate of cultural change. “But of course there’s a paradox,” Mr. Stora went on, “because they are also part of the multiculturalism of France, being a minority themselves. And the big problem they have now with their rosy picture is that the vast majority of young people in France are anticolonial.” The recent resurgence of négritude among young French blacks is just one example of this new spirit at large, part of the shift in cultural identity among minorities who, like the white pieds noirs, stress their roots even as they stress being French. 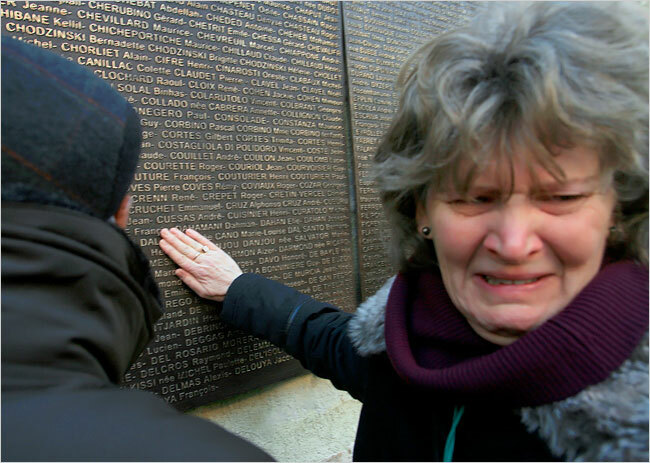 Museums and memorials like the Wall of the Disappeared are clearly the battlegrounds in this war of memories. “The pieds noirs were the first victims of the FLN,” said Jean-Marc Pujol, deputy mayor of Perpignan, referring to the Algerian nationalists. 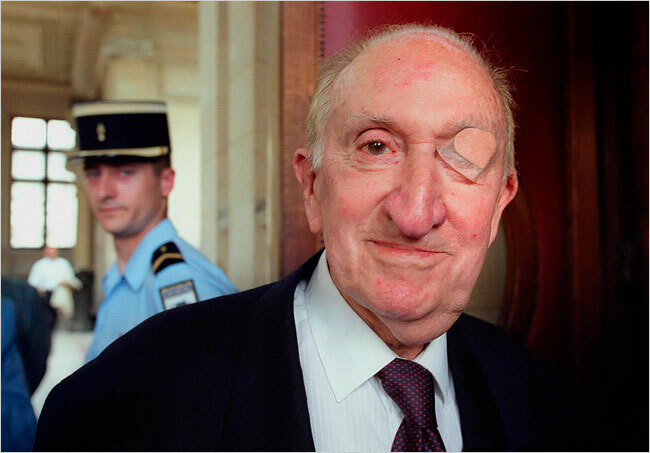 A pied noir himself, he is the politician who pushed for the center and raised roughly $2.5 million in public funds, from the French state and his own municipal government, to pay for it. That view, ignoring the Algerians who were victims of the pieds noirs, goes along with a gauzy picture of Algerian daily life before the war as peaceful and well-integrated. It doesn’t jibe with realities of French rule: that a vote by a single European counted for 10 by Muslims, or that only 14 percent of Muslim children went to school, or that there was an income imbalance of 5 to 1. A new generation — or perhaps it’s an aging one, Mr. Pujol’s, making its last stand before France changes any further. Suzy Simon-Nicaise is president of the Algerian Circle’s branch in Perpignan, and vice president of the national organization, which counts some 10,000 members across France, 550 here. She was 8 when her family fled Algeria. Her father was a businessman for an oil company there. In a nondescript office building here the Algerian Circle keeps the objects and papers that will eventually occupy the galleries of the center in the old convent: dusty photo albums; beribboned medals; threadbare military costumes, hung now on rickety store mannequins whose wigs are slipping; tattered flags; maps; portrait busts and other memorabilia accompanied by handwritten labels in old glass cabinets. They fill several locked rooms, a kind of museum of romantic colonialism, a memory lane for pieds noirs. Mr. Stora, the historian, linked pieds noirs like Mr. Pujol, Ms. Simon-Nicaise and Mr. Scotto with anti-Castro Cubans, dreaming of their lost home.